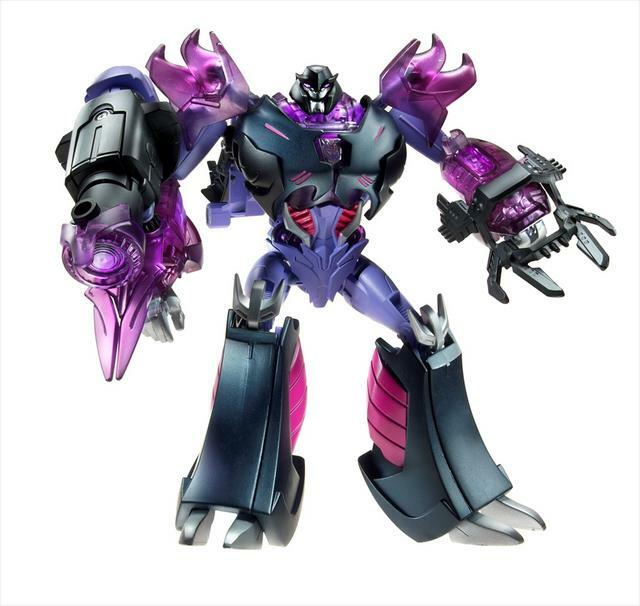 July 13, 2012 - Hasbro has sent along press images of their new Transformers toys unveiled at the 2012 San Diego Comic-Con International - we've posted all 150+ of them in a gallery for your enjoyment. Hasbro has also uploaded a few videos from Comic-Con to their http://www.accesshasbro.com/ web site. July 7, 2012 - Another month of bad consumerism on our part... the boy had fast food just three times since the last Fast Food Toys Round-Up: once at Wendy's for breakfast (so no toy), McDonald's (Gia from Madagascar 3), and another trip to McDonald's when his grandparents took him (a Pokemon something, now lost in his room). Let's see what's out there in restaurants this month! - Wendy's Kids Meals have "Minute to Win It" themed goodies, with "Sports Illustrated Kids" coming soon. - Burger King has outdoor fun-themed toys such as a bug-shaped bug light, a foot sack, a flying ring, and a bugatorium. - McDonald's has Ice Age toys in their Happy Meals, with SpongeBob SquarePants as the next promotion. 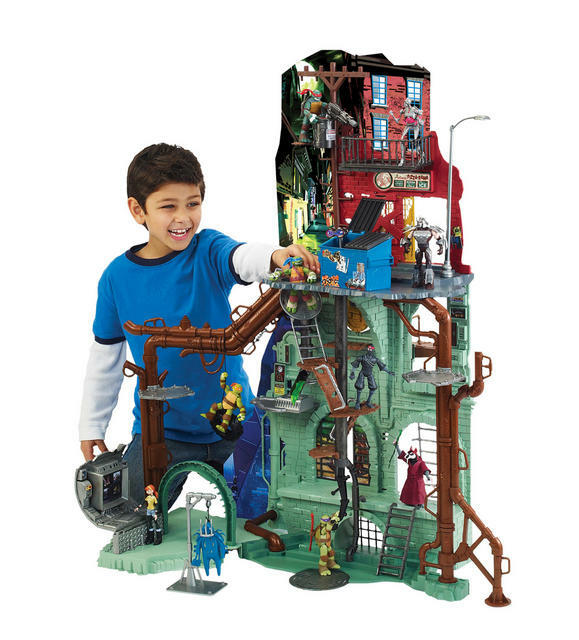 The Secret Sewer Lair playset, shown below, will retail for $119.99 and includes an ooze drain. Say it with me: ooze drain. Ooze drain. Ooze drain. Doesn't it make you smile to say those words together? 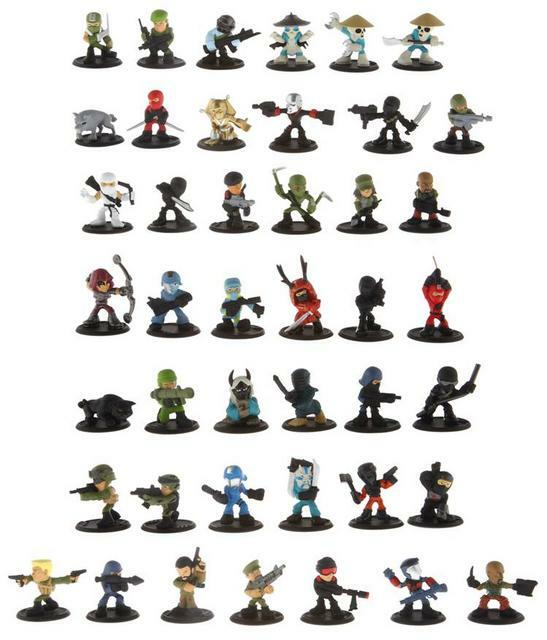 First, Hasbro announced a brand new expression - G.I. Joe Micro Force - at JoeCon, debuting the first ever images of this fun new style of toys for the G.I. Joe brand! 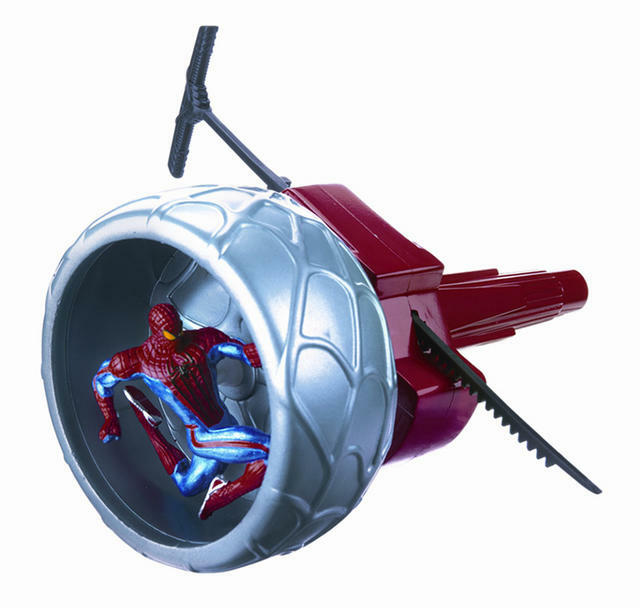 Most of Hasbro's toys for The Amazing Spider-Man movie are in stores now, but just in case you have missed them, Hasbro has released a press release summarizing the product line. They were also kind enough to send along 47 press images, which we've posted in a gallery. FTC Disclaimer: Kiwi Crate provided us with the crates/kits in this post. None of these links are affiliate links. We supplied the boy, the cat, and the Angry Birds. 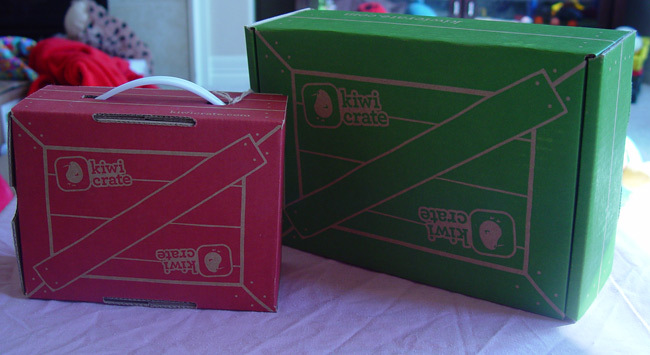 When I first saw the press release for the Kiwi Crate, I thought it sounded like neat idea: a subscription service for a box of crafts for kids ages 3 to 7, with everything included. The boy and I sometimes make crafts we find online or in magazines, but usually the more interesting ones involve something we don't already have around the house, so they get put off until we make a trip to the craft store. Kiwi Crate sent us the Space Hero crate and a My Wings mini-crate. These are both available separately from the subscription, meaning that they are available as single-purchase items. June 2, 2012 - We must be bad consumers, as we haven't gotten any fast food since last month's Fast Food Toys Round-Up. Apparently we are pretty good at hoarding, though, as this week the boy and I stumbled across several fast food toys from 2008 when cleaning out our spare bedroom. 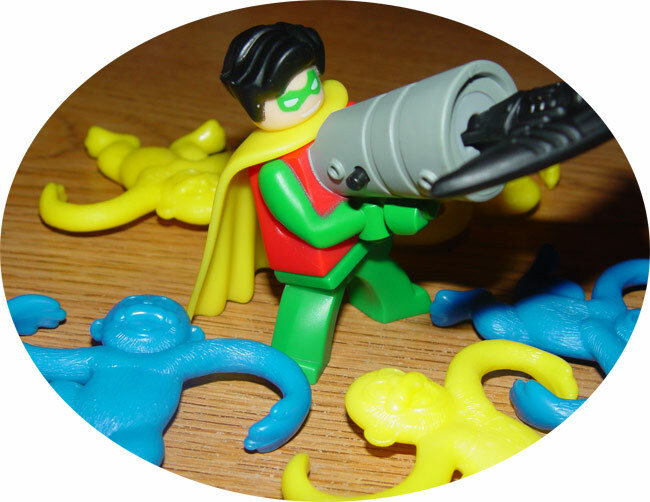 The more interesting pieces in the stash were a Barrel of Monkeys (with five monkeys and a cardboard barrel) from Wendy's and a Robin from McDonald's, part of the promo for the LEGO: Batman video game. Enough about the dusty stuff misplaced in our house, let's see what's out there in restaurants this month! - Wendy's Kids Meals still show "Leap Frog Leap School" toys, with "Minute to Win It" themed goodies coming soon. - Burger King still has Monster Jam trucks and Pinkalicious toys. G.I. Joe is an ongoing consumer franchise and therefore there is merchandise available to consumers. There is a limited amount of G.I. Joe Retaliation product at retail now, but in light of the movie moving out to March 29, 2013, the majority of the movie line will be made available early next year in time for the film's release. May 2012 - CustomCon 32 has been scheduled for August 6 to 10, 2012, to be held on JoeAcevedo.com. The entry deadline is July 9, 2012. Please check Joe's CustomCon page to learn more about submitting your custom action figures.